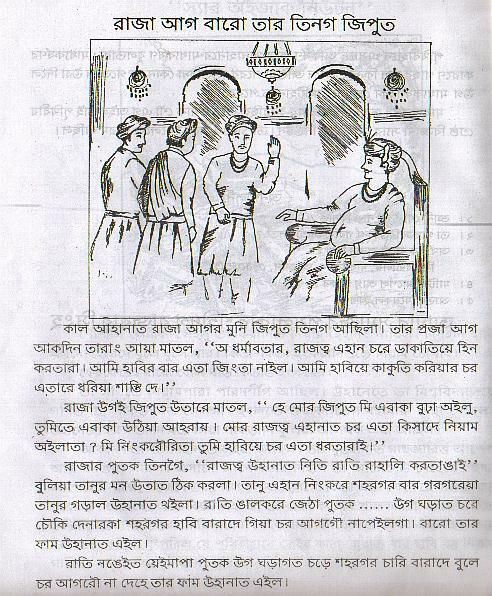 The ancient literatures of Bishnupriya Manipuri is represented by numbers of folk stories. This stories are generally related to imaginary kind of Kings, Queens, Prince and princesses and their Dynasty. Also a number of Folk stories related to Apang or Fool. some of them are obviously based on Sorahal or Soralel and his seven daughters, some deities like Kalthagore and pahangpa. 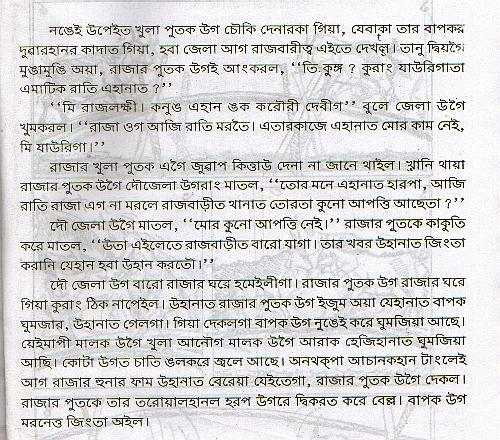 Folk stories about Bhoot- Pret, Pitkuri, Hinchapi, Sanangba, Laamchi, Lai-kandurum etc. are also popular.